Photograph: Michael Juliano CBS Columbia Square. Local Hollywood historian Philip Mershon’s entire tour of Hollywood takes place within a quarter-mile radius of Sunset Blvd and Gower St and makes no mention of the Walk of Fame or the Hollywood Sign. Yet by the end of the tour, you’ll have visited the origin of nearly all the major Hollywood studios and their immortal works of pop culture. While a number of the buildings on the tour are deteriorating, demolished or repurposed, Mershon manages to conjure up a vivid recreation of everything from the first picture studio to the ascendancy of the original Columbia and Warner Bros backlots with nothing but a few old photos and his voice. Put simply, the nostalgia can be overwhelming. Those looking to check off attractions on a checklist will inevitably walk away disappointed. 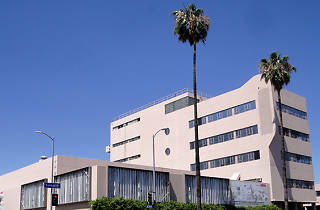 But for everyone else, it’s possibly the only tour in Hollywood that offers a meaningful and engaging connection with the history of the entertainment industry and the Hollywood of yesterday. 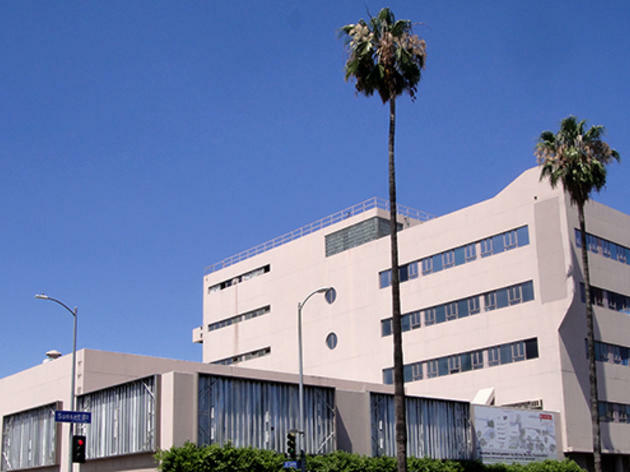 This the best tour in Los Angeles for people who want to learn about the History of the entertainment industry in Hollywood. Phillip has worked his whole life in the industry and researched it extensively. It is simply impossible to walk away from this tour without expanding your understanding of Hollywood and how it came to be what it is today. The tour is carefully designed to give you the most information in the shortest possible time with the least amount of walking. I am still in awe of how much that I was able to learn in under two hours. FYI, I have taken a lot of Hollywood tours. I would also consider the Felix in Hollywood tour to be the best value of any of the tours that I took. Absolutely outstanding. What a fantastic tour for anyone who loves Hollywood, history, or just a good story artfully told. Felix entertained and informed us with gripping tales of Hollywood eras gone by as we strolled down a famous street that keeps reinventing itself year after year. It's true that not all of the buildings that he points out on his tour have the same names or sometimes the same faces, or in a few cases even exist anymore. But that really serves to drive home the point that this town can be brutal, discarding last year's heroes in favor of this year's rising stars. Through it all, Phillip weaves his story with a grand arc that would have made Capra or Coppola or any of his other heroes proud. The time spent on the tour went by so quickly, it fairly flew. The next time I'm in LA I want to go back and soak it all in again. My son and I came from NY to visit colleges and were fortunate to have time to go on Philip's tour. The tour was well researched and the delivery fantastic. Philip described how Hollywood became Hollywood that was full of suspense and insightful.He enticed us with a reference that made us want to learn more and always followed it up later in the tour.Even my 16 year old enjoyed it. I live in Los Angeles and recently took this tour during a visit from out of town family. I can honestly say, this is one of the most informative and interesting things I have done in LA. I felt like I learned serious insider scoop on the early days and foundation of the Hollywood we know and love today. I loved Philip and his delivery of the information was flawless! The timing, walking and talking was perfectly and seamlessly blended. This really is a remarkable way to learn about the history of Hollywood if you want to really learn something, rather than look at famous people's homes and haunts! Take this tour, you won't be sorry! Ok... let me be clear. I am NOT a Hollywood buff or even an old movie fan really... I mean, I can stand some classics and even enjoy them a bit but I don't seek this stuff out. I'm not even a visitor, I have lived in Hollywood all my life. I thought I knew this town. I had NO IDEA. The beautiful and honest simplicity of Mr. Mershon's ( the Felix in this thing) tour is somehow breathtaking in a town now packed to the gills with flashy roofless vans full of star-map toting tourists being taken literally and figuratively for a ride. This tour is the real deal. Its not long, its not far... but in 90 minutes my imagination was captured and I walked away with a humbling appreciation for the place I call home that I never dreamt possible. I will never look at Sunset Boulevard the same way again. Well done, TIME OUT!